Marlink is now positioned as a single supplier capable of delivering IoT infrastructure and connectivity throughout the value chain as a result of the Proximity Internet of Things (IoT) platform that is seamlessly integrated with PTC’s ThingWorx® industrial innovation platform. 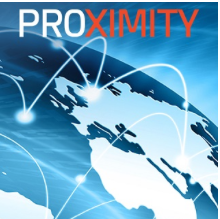 Proximity is a global M2M remote management and monitoring solution providing complete visibility and control of all fixed and mobile satellite M2M and tracking terminals in a single multi-device platform, while also providing a central interface for all IoT data regardless of the communication carrier used. 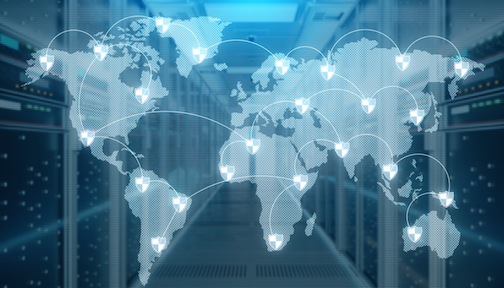 Proximity enables customers to improve their global network resilience and reduce operating cost by managing remote assets from headquarters, collecting data in real-time globally for predictive and prescriptive maintenance, and streamlining back office processes such as billing. These benefits are made available by the Proximity platform’s use of multiple carriers with automatic and seamless least-cost routing, including LTE, L-band Mobile Satellite Services such as BGAN or Iridium, and VSAT on all frequencies. PTC’s ThingWorx platform provides sets of integrated IoT-specific development tools for building innovative IoT solutions for a variety of industry applications. ThingWorx includes rapid application development functionality, connectivity, advanced analytics, machine learning, and augmented reality, and integrates with leading device clouds. These capabilities enable businesses to securely connect assets and create innovative applications and services, supporting digital transformation initiatives across industries. Damien Lyant, VP Sales and PDG PTC France commented that Proximity and ThingWorx are highly complementary solutions. While Proximity enables efficient collection of IoT data, ThingWorx introduces capabilities for handling, analysis and presentation. Integrated in a single digital ecosystem, organizations leveraging IoT now have an incredibly powerful solution for all aspects of data management, enabling them to innovate more and focus on differentiating product and service offerings to improve customer experience. Florian Lefèvre, VP Indirect Sales, Marlink added that Proximity solves a key challenge for organizations focused on leveraging the power of IoT through its agnostic approach to communication channels. Without it, data transmitted on different types of service must be collected in different systems, but with Proximity, everything can be viewed and managed from a central point. ThingWorx extends Proximity’s capability to encompass artificial intelligence and predictive maintenance, all from a single solution, meaning that we can now deliver turnkey IoT network solutions from data collection to meaningful visualized feedback.